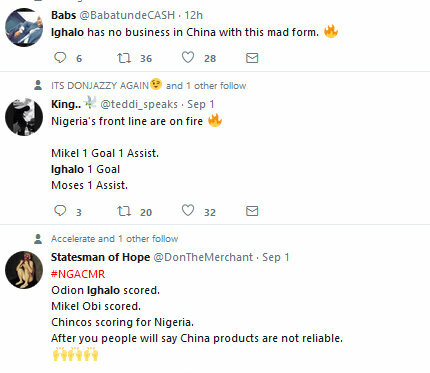 Yeoal's Blogzine™| Nigerian Urban, Gossip and Entertainment Site: Read Savage Tweets About Odion Ighalo's Made in "China Goal" 😅+ Player Gets Yellow Card for "Thanking Jesus"
Read Savage Tweets About Odion Ighalo's Made in "China Goal" 😅+ Player Gets Yellow Card for "Thanking Jesus"
Nigerians are the kings of #savage 😅😅. 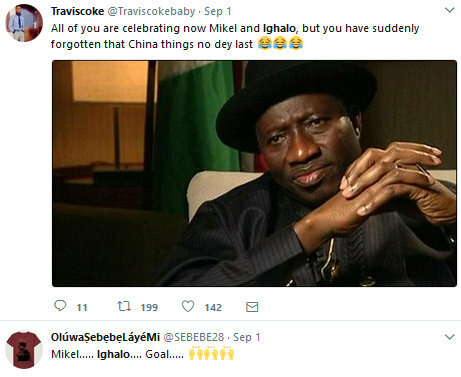 Meanwhile, the player has revealed that he was booked for thanking Jesus during Nigeria's match against Cameroon in Uyo. 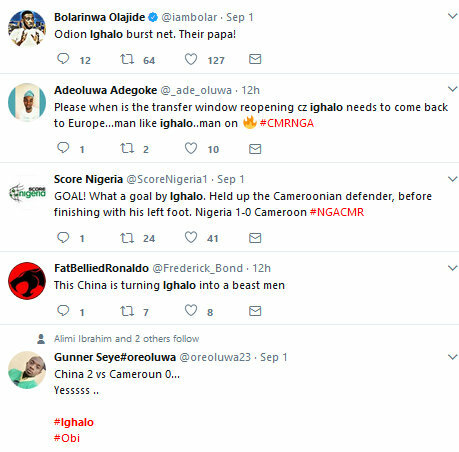 He was booked by Egyptian referee Ghead Grisha in the 30th minute of Nigeria’s World Cup qualifier versus Cameroon where he was given a yellow card. FIFA has banned any form of religious, commercial or political message on the attire of players during matches .